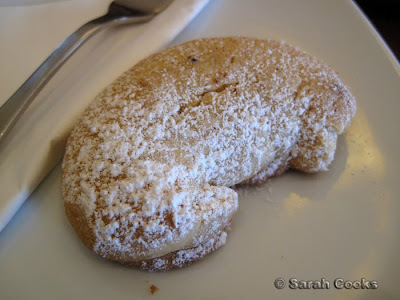 There are so many restaurants/cafes/bakeries in Melbourne, it would be hard for every single one of them to have a foodblogger review it, but it is nice to hear and see photos from a place that isn't "the hottest place in town"! 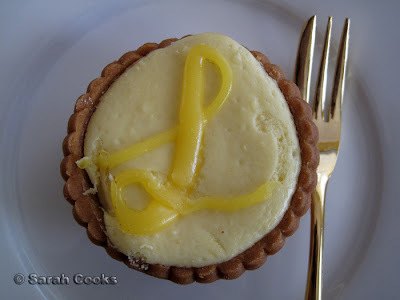 The lemon tart sounds to die for! Some local perspective: when we moved nearby a decade ago, one of my friends told me, quite seriously, that the best coffee around was at Dunkin' Donuts in Shoppingtown. A shock after Carlton. 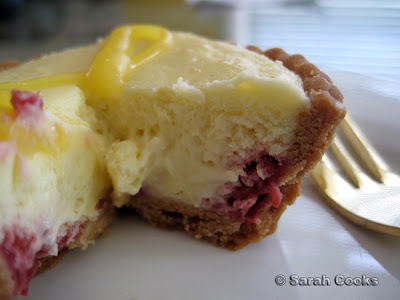 Best @ Zimt are the tiny tastes, the little intense lemon or passionfruit or chocolate tarts and cakes. For coffee though go to Romeo's in Greythorn! Rilsta - I also like hearing about unusual, out-of-the way places. Elizabeth - LOL! I'm a local too! Yay. 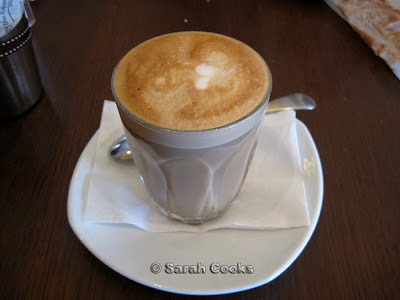 I have to say, the coffee at Jones The Grocer in shoppo isn't too bad! You're right, Romeo's is very delicious but I haven't been in ages. Full time work means less time hanging out in cafes, booo. 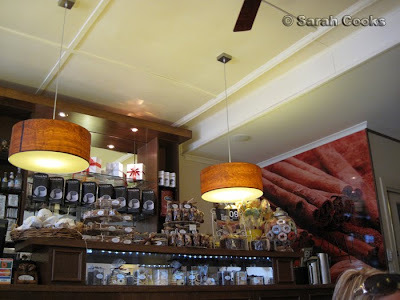 :( I recently recommended Romeo's to a fellow blogger who just posted about Moka Pot Cafe. There are many places that I don't blog about. You are right, I should blogging more about the unknown. 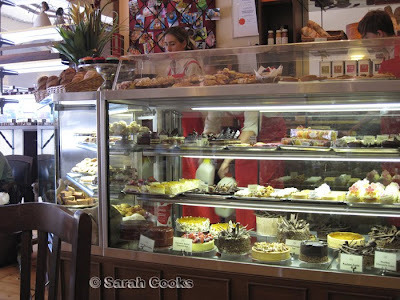 The little bakeries and cafes. I told myself that I will try and blog more about my local. It's been a few years since I have been to Zimt, but their apple strudel used to be absolutely rockin'! IMO, one of the best in town. Wonder if its still as good? long time reader sarah- have lived around the corner form Zimt for last few years. 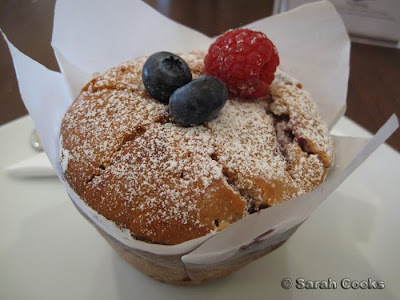 i was thrilled when it opened and has strated a wave of Mont Albert gourmet eating. Only thing is the service I have found there is far from what you would want, and the food,e xpect on rare ocassios, stale. I ahve had the embarresment of buying lemon tarts and sacher torts to take as gifts to dinner parties onyl to be embarressed by the quality. I made a decision not to waste my money ethere and take a risk, as it is also very expensive for what it offers. I'm exactly the same as you Sarah, I neglect to blog all my usual places that I visit. I'm so used to them and just don't feel the rush of finding a new place and hence don't think to blog them. I must start blogging all the regular places I eat at now. oh my that all looks so good! 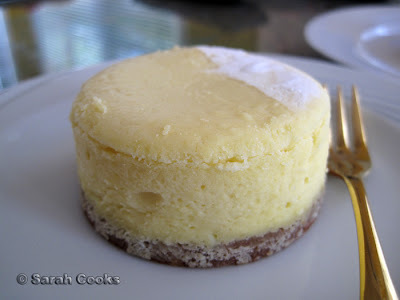 oh my, the mini cheesecake looks scrumptious! o.m.g! That freakin lemon tart is sending me off the edge. Damn it..it looks so good. I have 1 more day of leave left...and I'm gonna try and cancel our plans to go here!